Call for price and shipping rate. 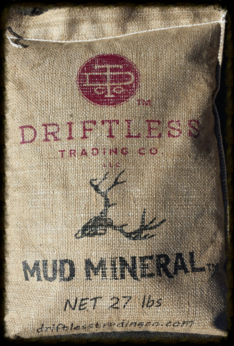 This product come in a unique, 27 pound, vintage, burlap bag filled with the basic ingredients for deer antler growth. 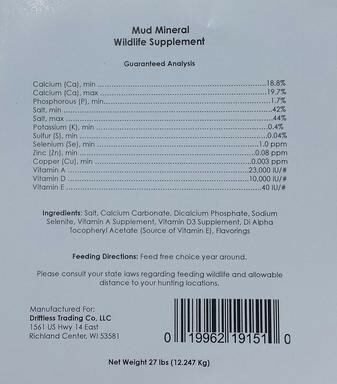 Just salt, calcium, trace minerals and vitamins to encourage larger antler growth. These products are also flavored with apple and molasses to “bring ’em in”! 40" x 48" x 32"
13" x 19.5" x 3"
© 2015 Driftless Trading Co., LLC All Rights Reserved.